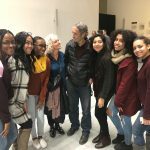 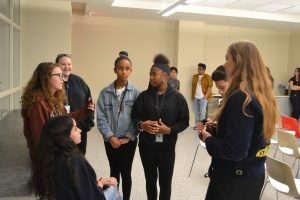 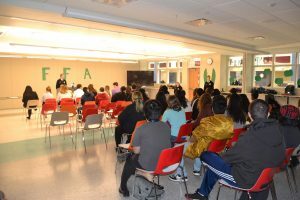 (Secaucus, NJ—November 19, 2018) Students and teachers alike from the Academy of Environmental Science and Sustainability participated in the historic inauguration of the first FFA (formerly, the Future Farmers of America) chapter in Hudson County, announced Dr. Joseph Giammarella, Principal of High Tech High School. 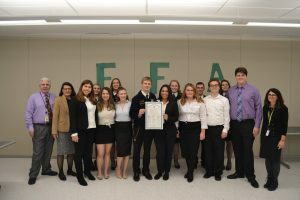 State-level officers Josh Loew, Brittany Smith, Susan Schmidt, Jamie Specca, Jacob Newkirk, Kaitlyn Tallamy and Christine Albrecht, as well as other FFA state-level representatives joined the Academy of Environmental Science and Sustainability in signing the charter officiating the chapter. 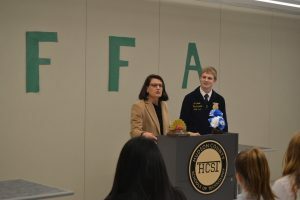 The event began with a symbolic ceremony, led by the state-level officers, which highlighted what defines the FFA as part of the national community. 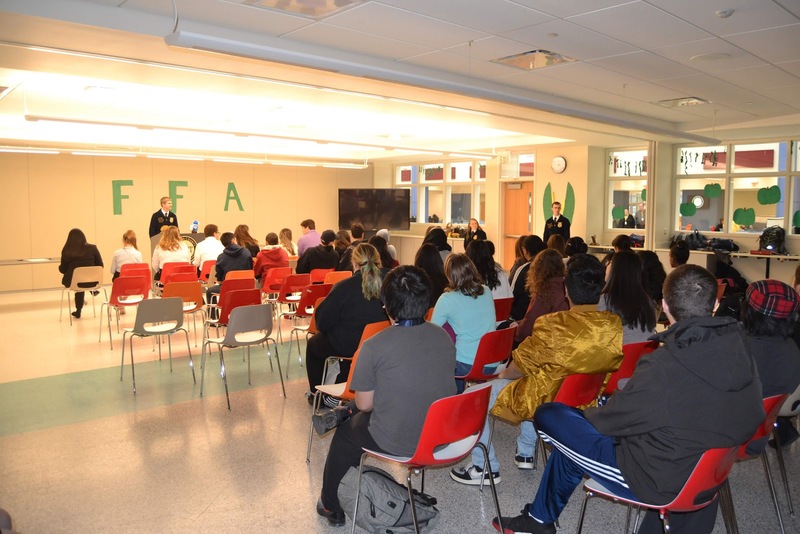 After which, the state-level officers received a tour of HCST’s Secaucus facility by academy Green Leaders. A student-run agricultural education initiative, the National FFA Organization emphasizes leadership, personal growth, and career success. 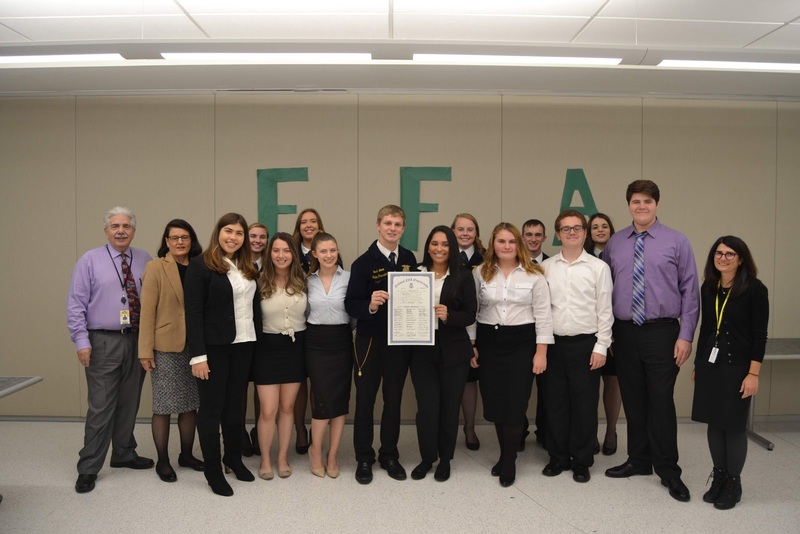 FFA offers conventions, competitions, scholarships, and other valuable resources and opportunities to establish connections with other chapters in New Jersey. By creating the High Tech FFA Chapter, the Academy of Environmental Science and Sustainability has cemented its position as a member of the national agricultural education community. 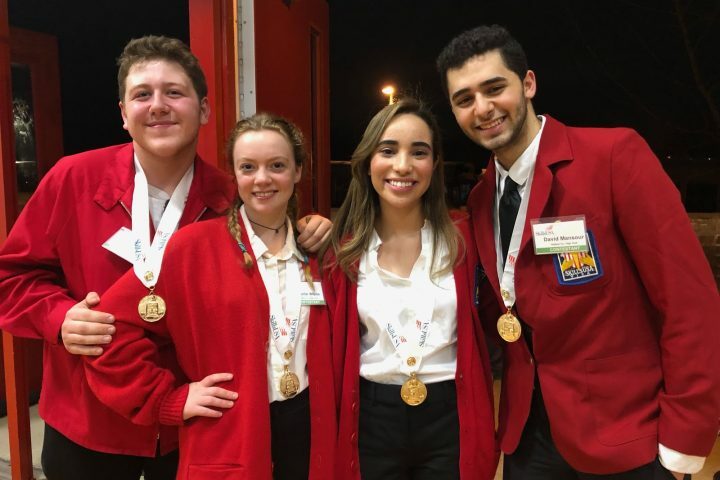 The High Tech FFA Chapter Officers and their advisor includes Jersey City residents Ivonne Ovalles (President), Elena Gurczesk (Vice President), and Aubrey Beam (Secretary); Kearny resident Al Sessa (Treasurer); Rachel Stern of Guttenberg (Reporter); Jersey City resident Sean Fuehrer (Sentinel); Sylvia Goldfond of Kearny (Historian); and Advisor and veteran Environmental Science instructor Cathy Yuhas. 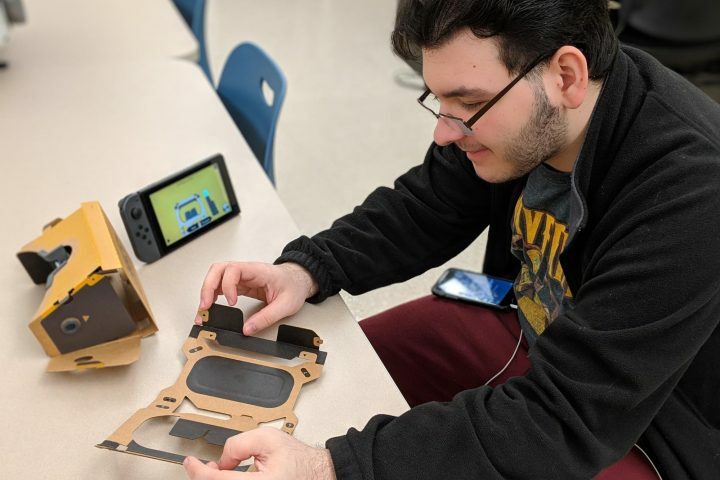 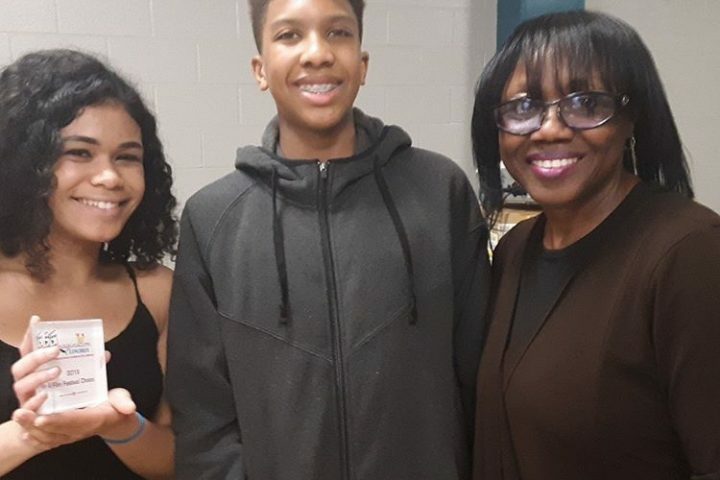 2019 © Hudson County Schools of Technology.